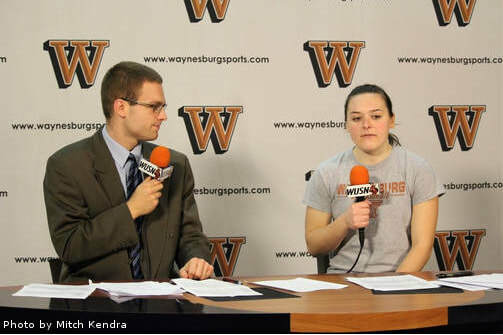 Austin Anderson is a talented & up-and-coming sports communicator. Currently, he serves as the Director of Athletic Communications at Judson University in Elgin, Illinois where he oversees men's athletics. He also is a member of the Sportscasters Talent Agency of America (STAA). In 2017, Austin was the Broadcast/Media Relations Assistant with the Gary SouthShore RailCats in Gary, Indiana minor league baseball team in Gary, Indiana for the 2017 season. In 2016, Anderson was a Broadcast/Sales Intern with the Chicago Bandits Softball Team (NPF) in Rosemont, Illinois. He has announced sporting events on broadcasting networks and agencies within Western Pennsylvania and the greater Chicagoland area. His work has appeared on media such as ESPN+ & WGNTV.com in Chicago and on the Westmoreland Sports Network in suburban Pittsburgh. Anderson also is an experienced public address announcer for many collegiate programs and high schools in the same regions. He has experience being a freelance writer for numerous publications. 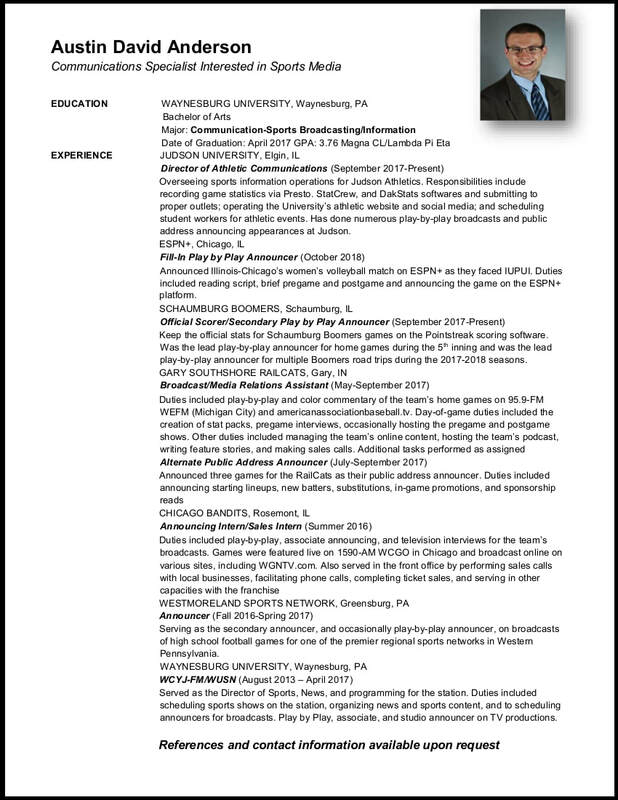 Please feel free to view his resume below and contact him via the above tab.